As a food, milk has been revered and ignored, respected and feared. In the face of its 'material resistance', attempts were made to purify it of dirt and disease, and to standardize its fat content. 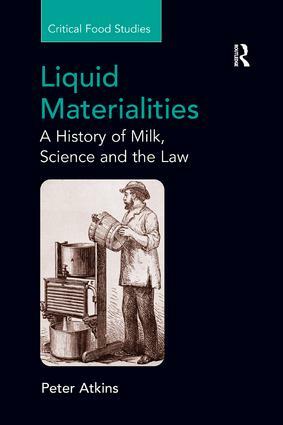 This is a history of the struggle to bring milk under control, to manipulate its naturally variable composition and, as a result, to redraw the boundaries between nature and society. Peter Atkins follows two centuries of dynamic and intriguing food history, shedding light on the resistance of natural products to the ordering of science. After this look at the stuff in foodstuffs, it is impossible to see the modern diet in the same way again. Peter Atkins in Professor of Geography at Durham University, UK.